The OptiPlexTM 360 includes practical features for growing businesses and cost effective organizations. OptiPlex 360 is both easy to own and flexible to meet the changing needs of your organization. That means the right fit for users with choice of two form factors and practical features, such as Dell Client Manager that help reduce time needed from IT for deployment, maintenance and support. Dell OptiPlex reduces the hassle of ownership so you can focus on moving your organization forward. 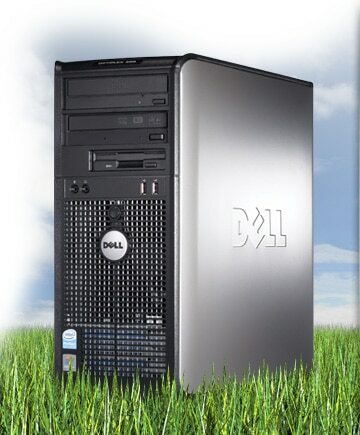 Dell is committed to being the greenest PC company on the planet with programs that help your company "be green" from the moment you order. And the OptiPlex 360 delivers, smart energy choices so that you can achieve more performance with less energy through Dell's Energy Smart power management. 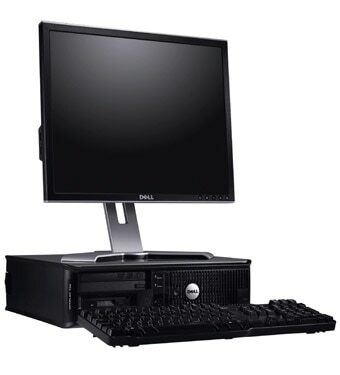 We'll even recycle your current desktops free of charge when you purchase your new OptiPlex 360. Find out today how OptiPlex systems reflect Dell's true understanding of the importance of green technologies to your company and to your company's bottom line.